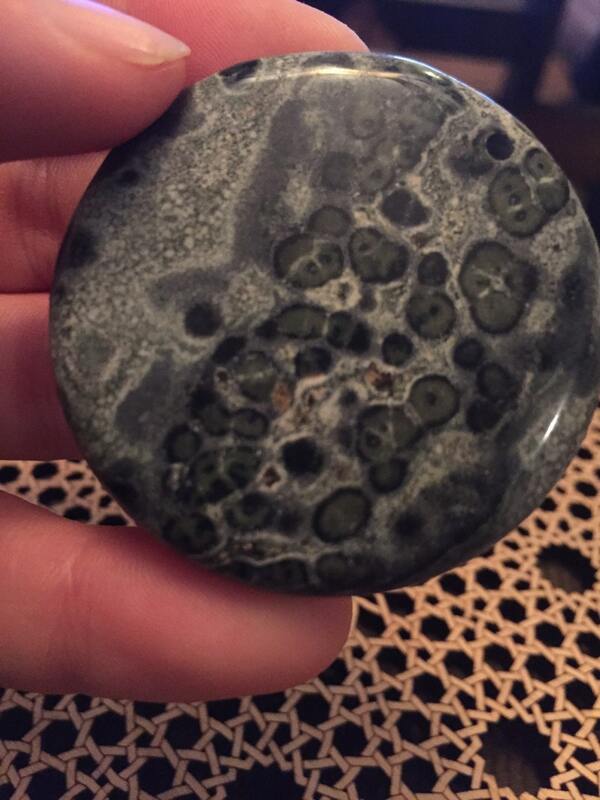 Kambaba Jasper is actually made from fossilized organisms, the oldest organisms on the planet actually. This organism lived 3 billion years ago and it was the dominant life form on the planet at one point in time. 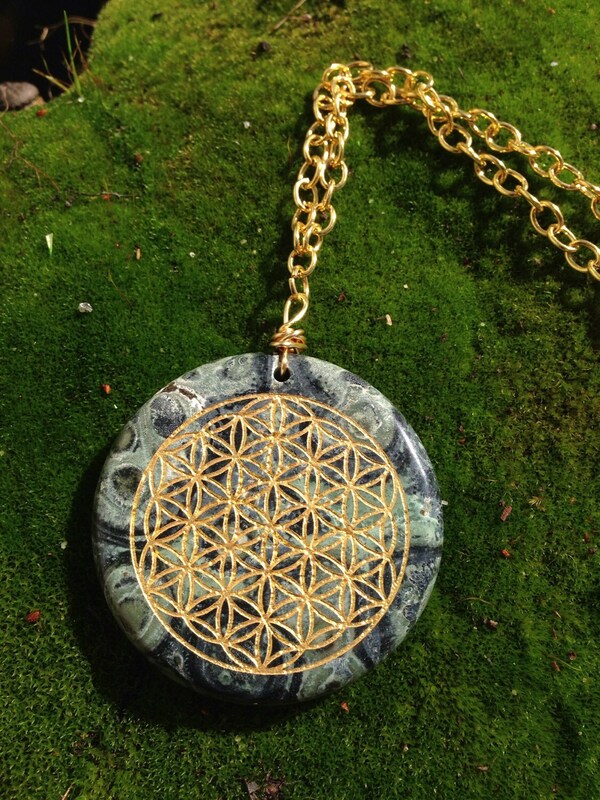 The flower of life is etched into the jasper and then filled with gold flake making for a piece that is truly grounding to Mother Earth. 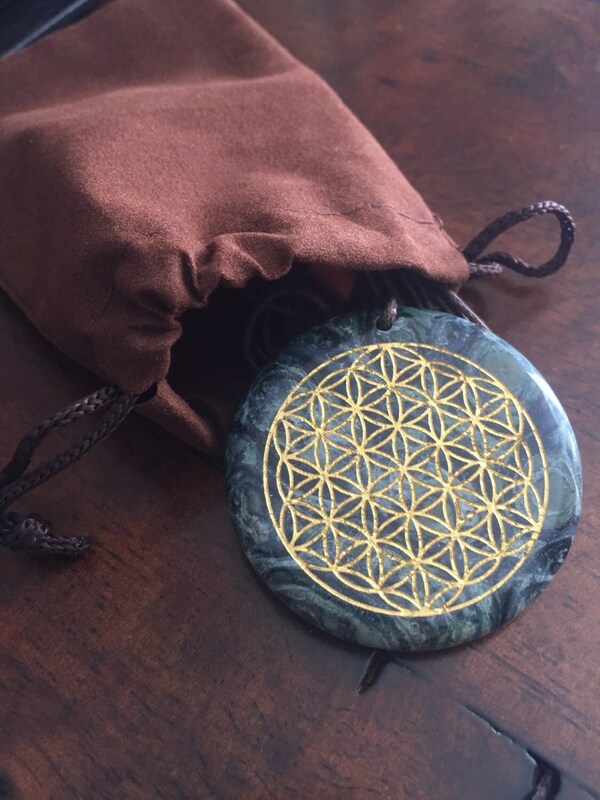 Kambaba Jasper has many healing properties and uses. 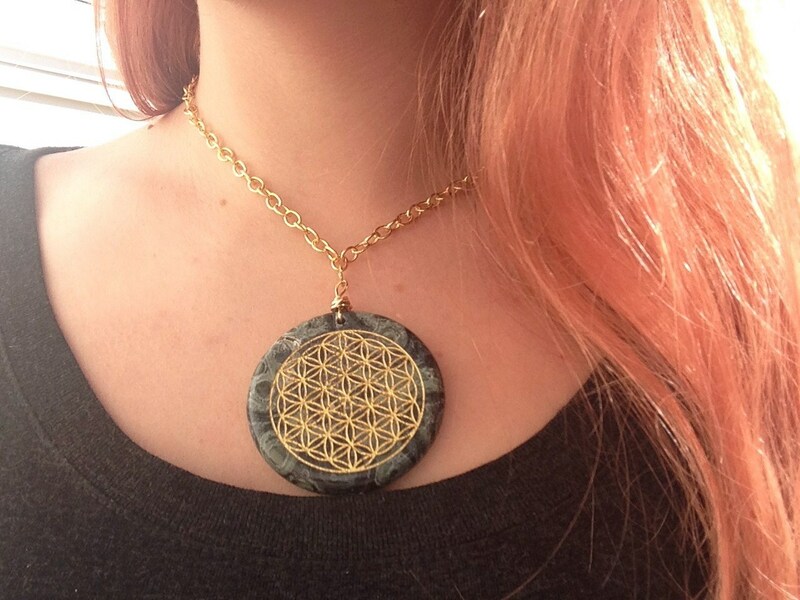 It is knows as the stone of tranquility, expanding ones focus and aiding in meditation.